Literacy Outreach has moved into a new building that was given to the organization by an anonymous donor. The organization has moved to 1127 School St. in Glenwood Springs. 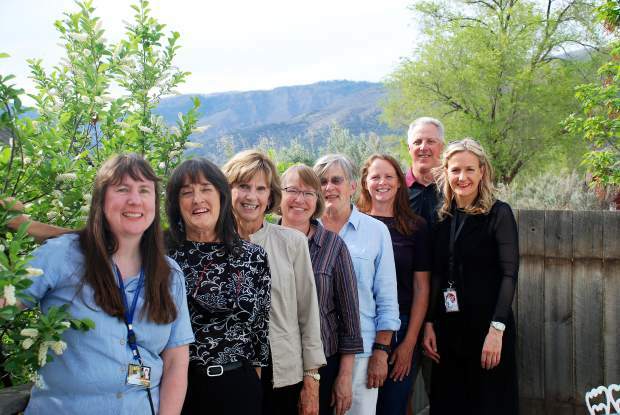 The Garfield County Library District housed the organization in the Glenwood Springs Library for more than 26 years, and the two organizations continue to have a strong partnership as the library district currently provides some financial and clerical support to Literacy Outreach in recognition of its work. Steve Carter, of ReMax Country, and Bob Noone, of The Noone Law Firm, were integral in brokering a deal with an anonymous donor and Literacy Outreach to buy a building. Dan Becker, of Becker Construction, gave four months of free work to renovate the building, and Claire Jacobi, of Glenwood Structural and Associates, donated all of the engineering and design work. The new classroom space will be dedicated to the late Leo T. Prinster. “Teo,” as he was affectionately called, loved to read and served as president of Literacy Outreach and was an advocate for literacy. The move allows the nonprofit to rent space to another nonprofit and also serve as a hub for the staff, students and tutors of the growing organization. The building has all the features and amenities they need, including Wi-Fi, and a classroom to offer the resources and programs to serve the current and future needs of the illiterate in Garfield County.